Since I've been delving into the land of mantras, I thought it would be fun to talk about walking mantra meditations. Now, I'm not a huge meditator. I know all about how good it is for you, and I always have good intentions of meditating, but the practice of silent meditation often falls to the wayside. After reading an article about walking meditation by friend Nancy Monson, I decided I really like the idea of walking and meditating at the same time. After all, I walk to work a lot, and what's better than multitasking while doing it? One day, on my way home from work, I selected a word to focus on for the entire trip. The results were actually pretty amazing. Focusing on the word "beauty" made so many lovely and heartwarming things stand out to me. I had covered the non-picturesque territory so many times before, I didn't think anything would really strike me as particularly beautiful, but I was wrong. Turning a simple walk into an opportunity for awareness, wellness, and gratitude is just genius to me. It makes every walk quite a bit more special. A sign for "Pleasant Street"
Particularly aesthetically-pleasing arrangements of apartment electricity lines (weird, I know!). 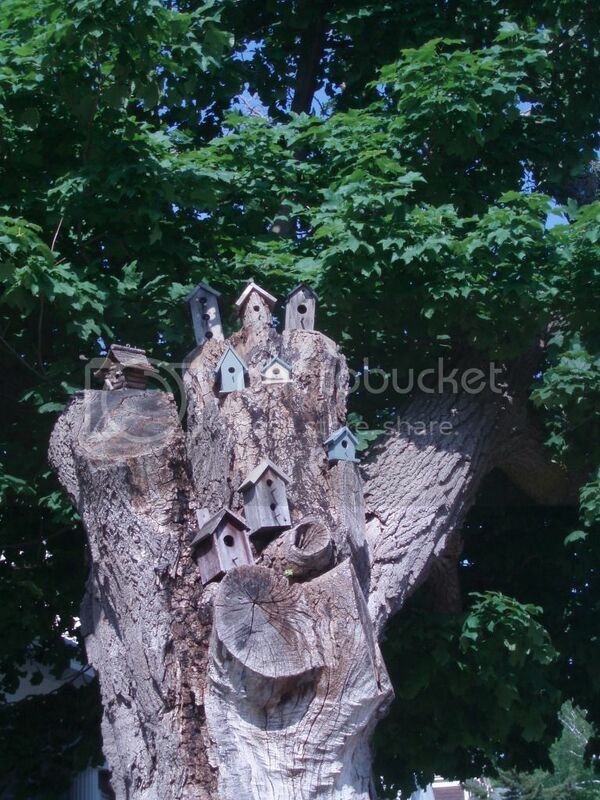 And I really can't believe I never noticed this adorable bird treehouse display after living in the same neighborhood for over 7 years!!! It's amazing what you pick up on while you're being intentionally mindful. This type of walk was so energizing, I plan on doing it much more in the future. Try it! And then leave a note to tell me what you think.